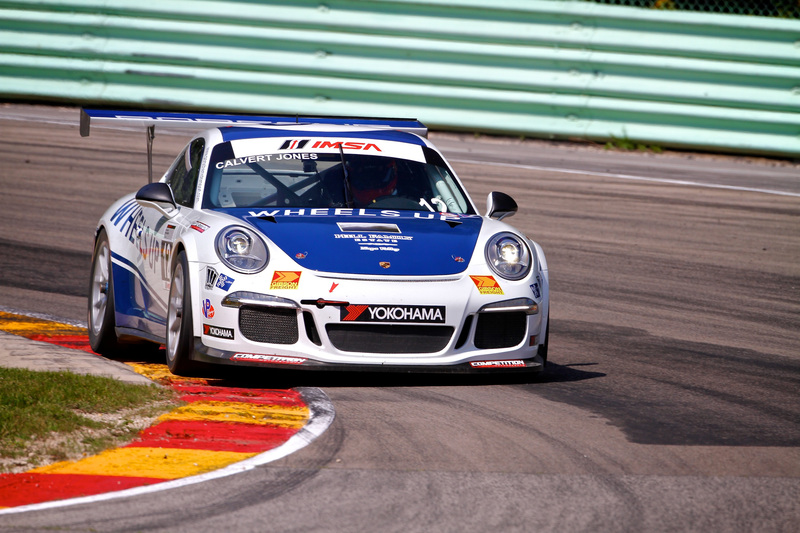 Elkhart Lake, Wis. – With six drivers earning two poles and seven podiums, the odds were definitely in favor of Competition Motorsports this weekend as they continued their strong performance in IMSA Porsche GT3 Cup Challenge presented by Yokohama competition. Sunday saw one 45-minute sprint race in the morning, with an encore race on Sunday afternoon to make up for a rained-out session at Lime Rock Park earlier this season. Both races had a similar outcome as Competition Motorsports made multiple podium visits on the day. Michael Lewis got another chance to spray the champagne after Race 2 at Road America, and it was the best kind of champagne on offer—the kind that comes from the top step of the podium after he led the race from the green flag to the checkers in the No. 98 Competition Motorsports/Curb-Agajanian Porsche 911. He then capped of a successful weekend by making a third trip to the podium in as many races having never raced outside of the top-five all weekend. David Calvert-Jones experienced the same sweet relief in Race 2 as he tied his best overall finish to date and took the top step of the Platinum Masters Class podium in his No. 12 Wheels Up Porsche for Race 2. 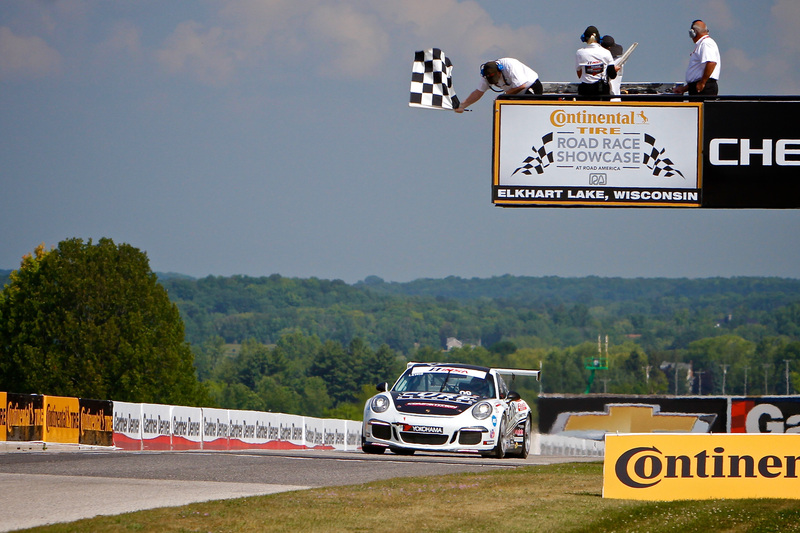 He then joined Lewis in his triple trip to the podium with another second place Platinum Masters Class podium in the third race at Road America. 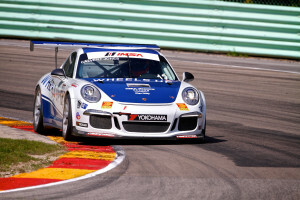 In just his second GT3 Cup Challenge race, Michael Zuieback made a strong impression in his No. 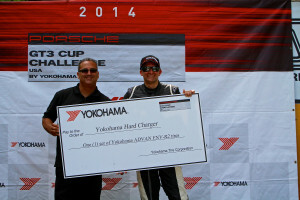 2 Discount Tire/Competition Motorsports Porsche 911, earning the hard-charger award for Race 2 after running from 13th to a seventh place finish. After sustaining significant damage to his No. 9 The Agency/Competition Motorsports Porsche 911 in the first round at Road America, Blair Chang was forced to sit out the rest of the event weekend but stayed on hand to take in the action and support his Competition Motorsports teammates. Steve Goldman scored another solid result in Race 2 as he showed strong pace in his No. 3 Revita Rugs Porsche and eventually drove home to a finish equal with his 12th place starting position.